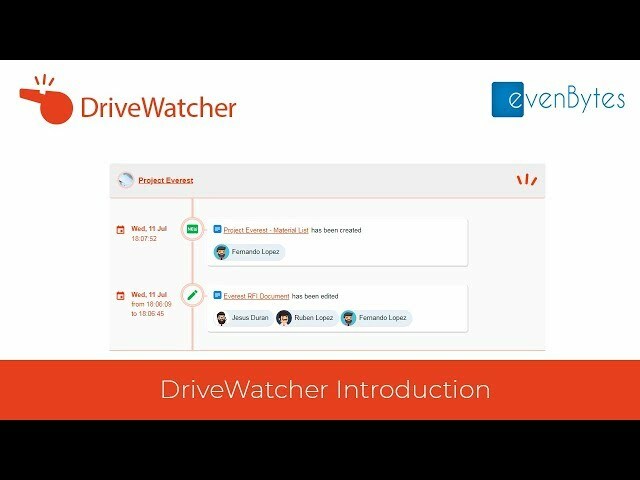 With DriveWatcher Bot you can configure your subscriptions to notify through Google Hangouts Chat. Setup your subscriptions either into a room with your colleagues or by direct message with the bot and send/receive notifications in a smart way. 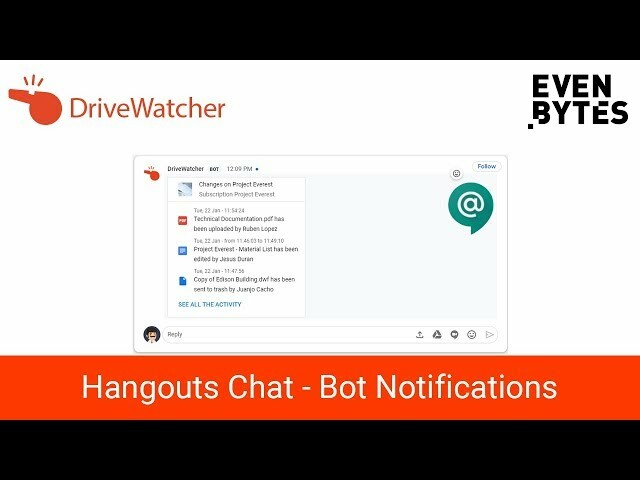 Send or receive notifications from changes on Google Drive directly through Hangouts Chat with DriveWatcher Bot! 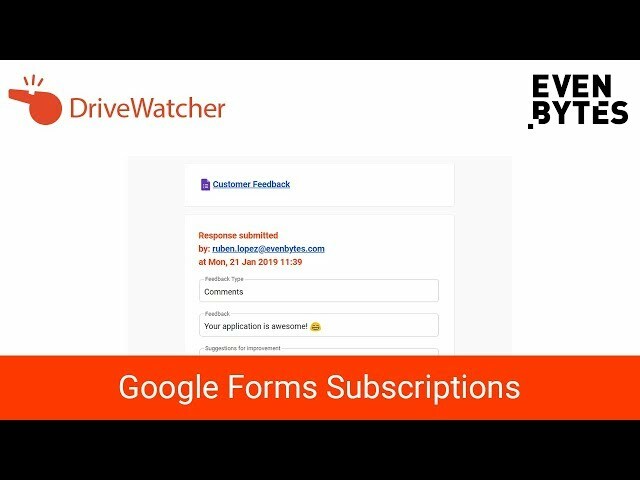 A quick explanation about Google Forms Subscriptions in DriveWatcher. With this kind of subscriptions, you can setup rules and conditions to notify different users depending on the responses in your Google Forms. You can send Google Forms notifications to mulitple users depending on the answers from people submitting your forms.